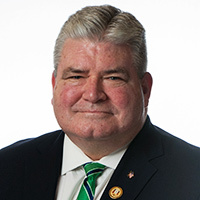 Senator Steve Oroho (R-24) said that a string of positive employment reports showing sustained private sector job growth in New Jersey is proof that the common-sense approach to budgeting and tax policy employed by the Christie Administration is yielding results. The most recent monthly employment report from the New Jersey Department of Labor and Workforce Development shows that the number private sector jobs in the state has increased for the sixth month in a row. According to the report, 3,900 private sector jobs were created in July. Additionally, the number of jobs created in June was revised upward from the initially reported 1,700 to 8,800.